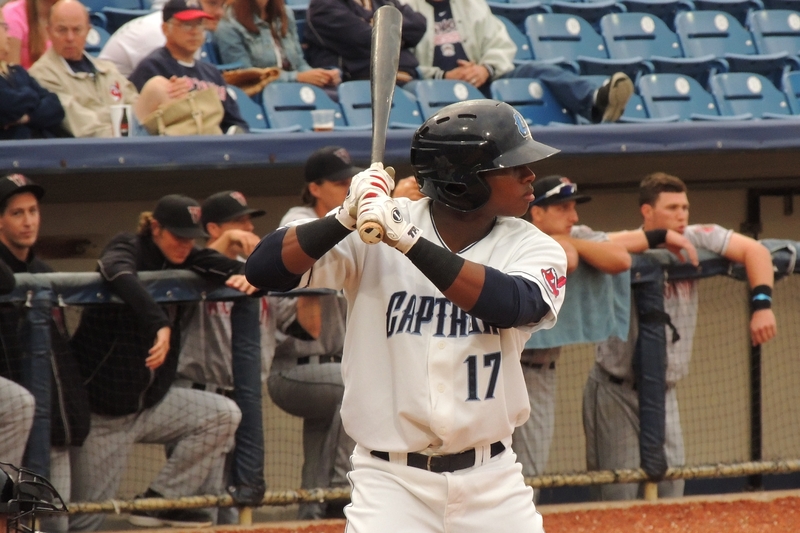 Lake County Captains leftfielder Dorssys Paulino and Quad Cities River Bandits RHP Angel Heredia respectively were named the Midwest League offensive player and pitcher of the week for the period of June 29-July 5. Paulino went 11-for-25 with two homers, four walks and six runs batted in. He is batting .255 with 6 HR and 38 RBI in 76 games this season. This is Paulino’s third season in the Midwest League. Last year he batted .251 with 3 HR and 35 RBI in 113 games. In 2013 he batted .246 with 5 HR and 46 RBI in 120 games. He was a shortstop in 2013 and began transitioning to left field in 2014. Heredia, a relief pitcher, made two scoreless appearances last week. On June 29 he struck out five and walked two, but didn’t give up a hit in four innings against the Beloit Snappers. On July 4 he struck out four and walked one without giving up a hit in 3.2 innings against the Peoria Chiefs. He picked up a win in the latter game. Heredia is 3-1 with a 0.96 ERA, 22 strikeouts and nine walks in 18.2 innings this season. This entry was posted in Beloit Snappers, Lake County Captains, Midwest League, Peoria Chiefs, Quad Cities River Bandits. Bookmark the permalink.